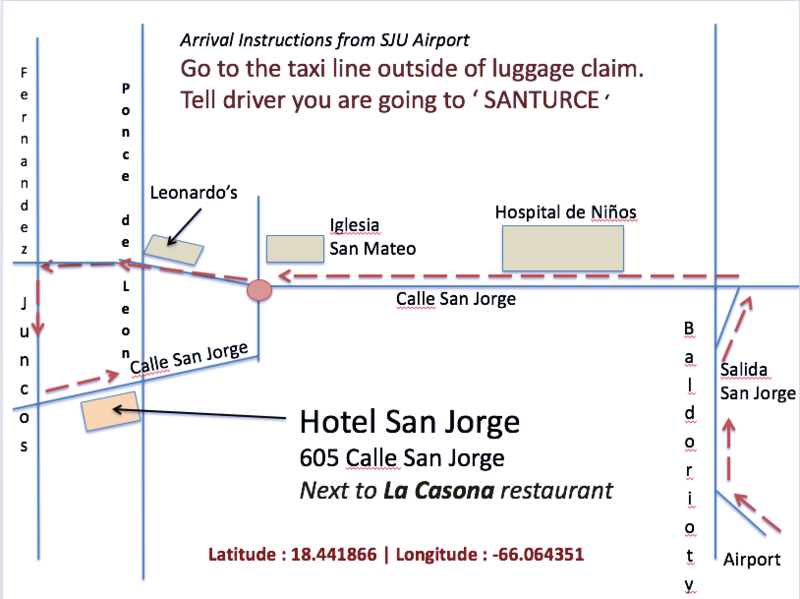 Hotel San Jorge is located in one of San Juan's hippest neighborhoods - the Santurce Arts District. Your only option from the airport is by licensed taxi - UBER is blocked from picking up at the airport terminal (although you can use UBER for return to the airport for your flight home). If you are driving - there is free street parking on Calle San Jorge or Ponce de Leon Avenue. Like any large city, make sure not to leave anything visible in your car. Click on the Google Map for directions.